The REST API allows third-party applications to retrive data stored within BIGSdb databases. To use the REST API, your application will make a HTTP request and parse the response. The response format is JSON (except for routes that request a FASTA file). Optional parameters can be passed as arguments to the query URL by adding a ‘?’ followed by the first argument and its value (separated by a ‘=’). Additional parameters are separated by a ‘&’, e.g. Lists database resources available using the API. Lists resources available for specified database configuration. These will vary depending on whether the resource is an isolate or a sequence definition database. 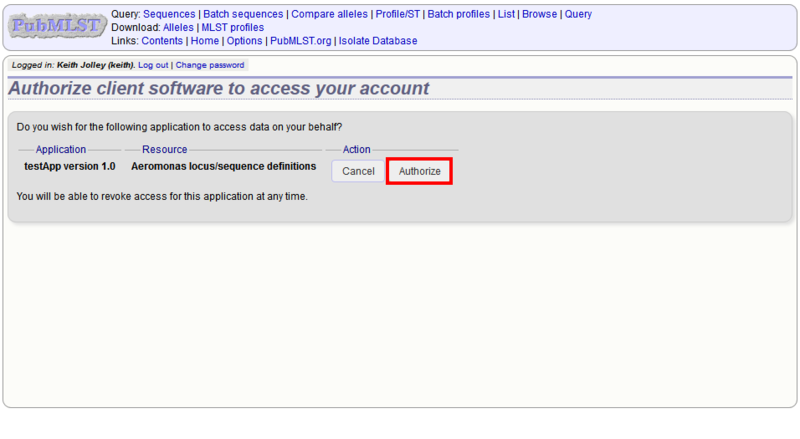 Lists loci defined within specified database configuration. page_size [integer] - Set very large page size to return all results in one go. Lists alleles defined for specific locus. 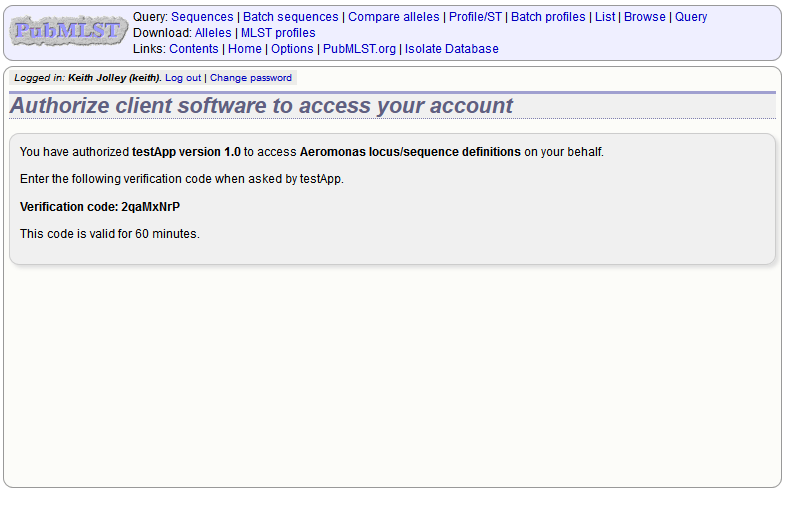 Provides all alleles defined for a locus in FASTA format. Provides information about an allele including its sequence. Lists schemes defined within specified database configuration. Provides information about a scheme, including links to allelic profiles (in seqdef databases, if appropriate). Provides information about scheme fields. Lists allelic profiles defined for a specific scheme. Provides all profiles defined for a scheme in CSV (tab-delimited) format. Provides information about a specific allelic profile defined for a scheme. Provides list of isolate records. Provides information about an isolate. Provides a list of full allele designation records for the specified isolate. allele_designations [array] - List of URIs to allele designation records Pages are 100 records by default. Page size can be modified using the page_size parameter. Provides a full allele designation record. Returns array of allele identifiers for isolate. Provides a list of full allele designation records for loci belonging to the specified scheme and isolate. Response: Array containing allele designation objects for each locus in the specified scheme that has been designated. Provides a list of allele identifiers for loci belonging to the specified scheme and isolate. Response: Array containing allele id objects for each locus in the specified scheme that has been designated. Each allele_id object contains a key which is the name of the locus with a value that may be either a string, integer or array of strings or integers (required where there are multiple designations for a locus). The data type depends on the allele_id_format set for the specific locus. Returns a list of contig records for the specified isolate. Provides all contigs associated with an isolate record in FASTA format. Provides a record of a specified contig. Provides a list of isolate provenance field descriptions. Provides information about data senders and curators.